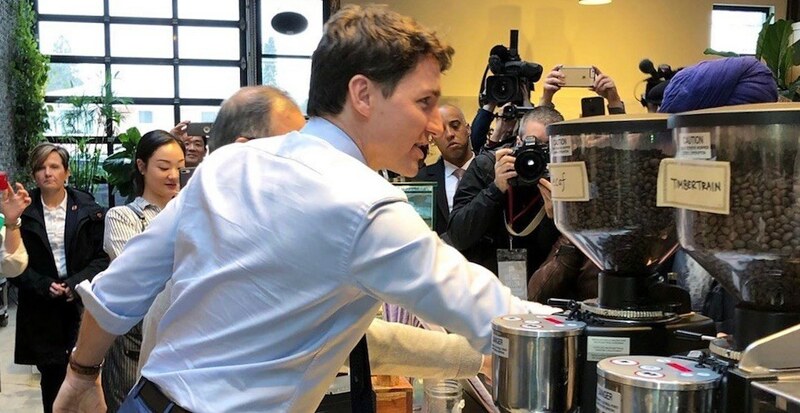 Prime Minister Justin Trudeau visited a popular Metro Vancouver cafe yesterday, in Burnaby to be exact. Trudeau was seen behind the counter at La Forêt Bakery and Cafe yesterday, a spot known for its delicious brunch, sweet treats, and Instagrammable decor. The bakery thanked the Prime Minister for supporting small businesses in an Instagram post with a series of photos of the visit, which he spent chatting with patrons sitting in the cafe. Trudeau was also in Burnaby on February 10 attending an event at the Shadbolt Centre for the Arts alongside Liberal candidate in the Burnaby South by-election, Richard T. Lee, who was also present at this cafe visit.